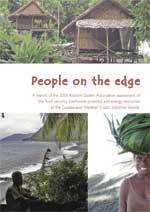 THE TERRACIRCLE TEAM has partnered with Kastom Gaden Association, Solomon Islands, in conducting AusAID-funded assessments of remote communities on the weather coasts of Guadalcanal and Makira islands. 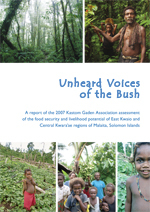 The assessments cover the food security, village energy and livelihoods potentials. 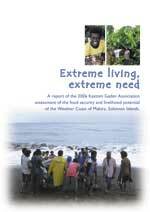 Kastom Gaden Association report on foods security, agriculture, energy option and other conditions on the weather coast of Guadalcanal. 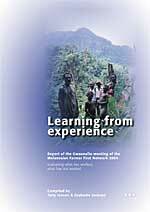 Currently in editing and layout, this third and final assessment of the isolated regions of the Solomon Islands visits the central highlands of Malaita island. 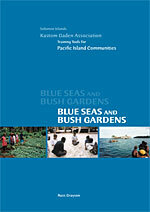 Evaluation report of APACE’s Kastom Garden Project, Solomon Islands entitled Blue Seas and Bush Gardens: the story of an innovative NGO in the Solomon Islands. Published in 2002 and updated 2006.